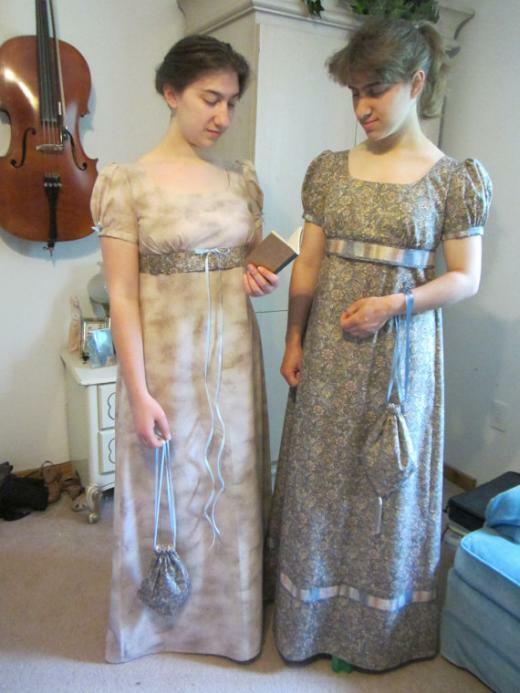 Hedges8: Historical and fantasy garments... fancy an Austen-inspired tea party? Ok, I confess it. I love "Love and Prejudice" and yes I have an obsession with men with cravats and sideburns, like almost every girl in the world... sigh! And I watch Regency and Period dramas inspired in Jane Austen´s novels, including some silly spin-offs like "Austenland" and "Lost in Austen". 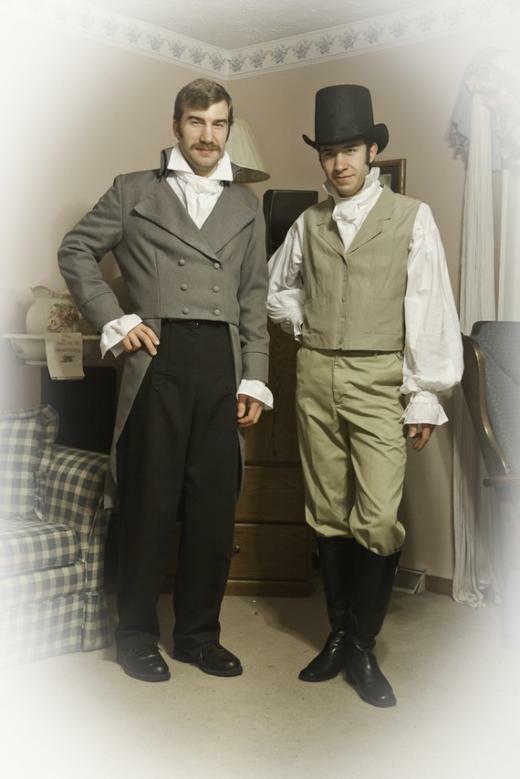 To be true, I love the way men used to wear in the Regency Era. Even if I think that women clothing was not so up to the elegance of the gentlemen in this aspect, I find the whole period very romantic, for obvious reasons. Oh I certainly would like to see my partner in these garments. As items are hand-made obviously most of them are one of a kind but they also encourage commissions and custom orders. There are plenty of Regency sewing patterns available in ebay for Regency costumes, but if you don't happen to be good at couture work, I found the store a good option. They also have some lovely prince-charming/princess medieval/fantasy gowns that I bookmarked as well, though I will keep this entry highlighted for their Regency catalogue. Fine ladies... and gentlemen. Below gowns, coat and poet blouse-shirt by HEDGES8 . You could then complete your look also adding a few regency complements like parasols, hats and even teapots from the UK-based store Austen´s gift shop. >>> Go to the homepage to see more articles ! Impressions of Autumn: Fantasy photoshoot and ideas! SPIRIT Elf ears headphones: transform yourself into an elf while you listen to music!